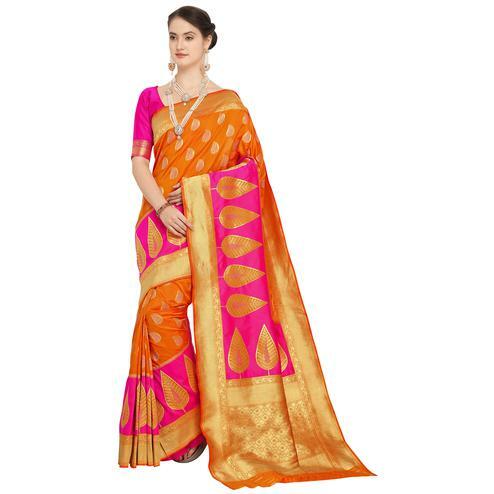 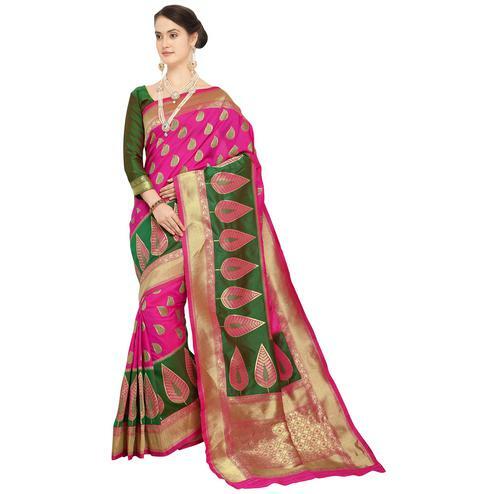 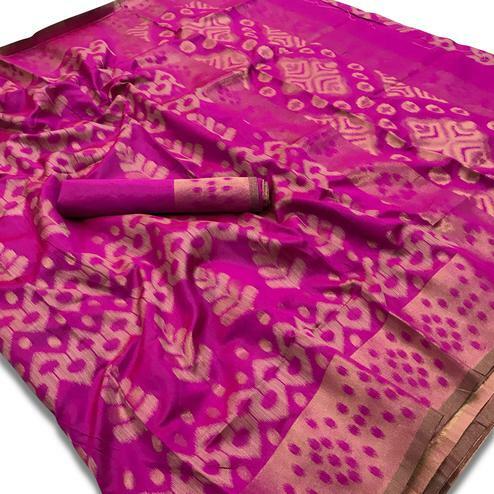 This gajri pink saree designed using art silk fabric is a perfect choice to pick for your festivals and functions. 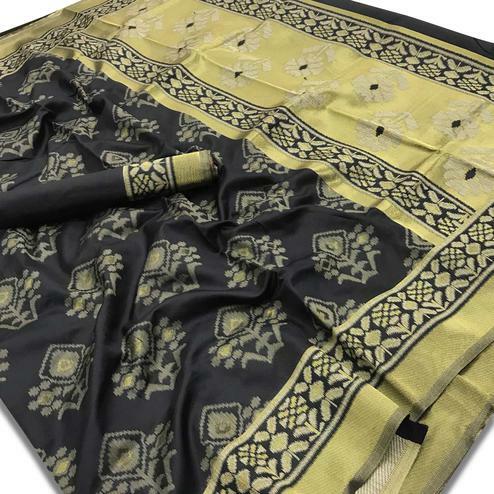 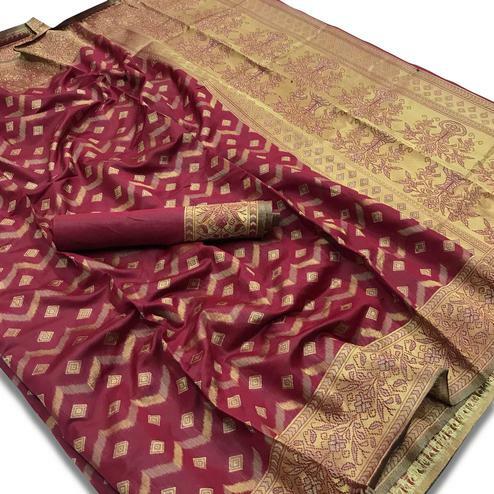 The saree body has got traditional paisley design motifs with weaving work done all over as shown. 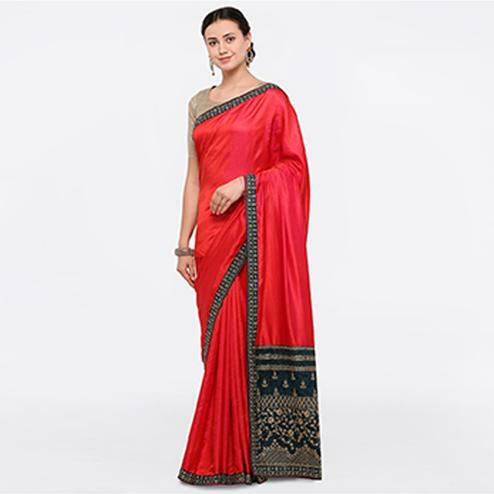 The big peacock and floral motifs at pallu having zari weaving work background is the main highlight of this saree. 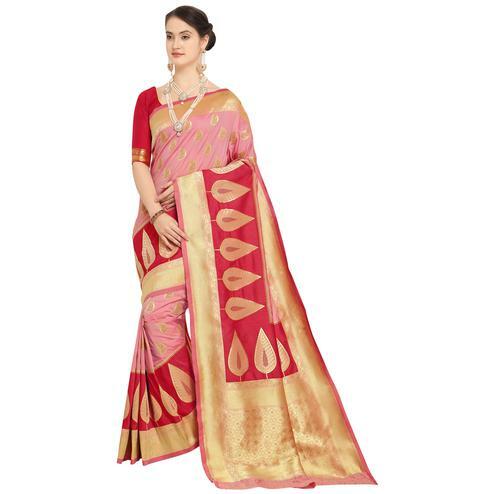 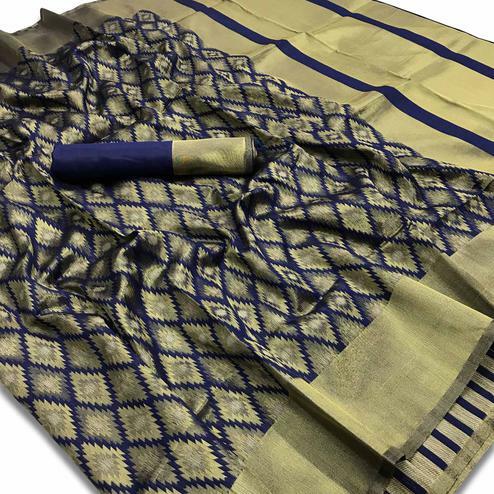 Both side weaving work border in textured design makes this saree look more elegant. 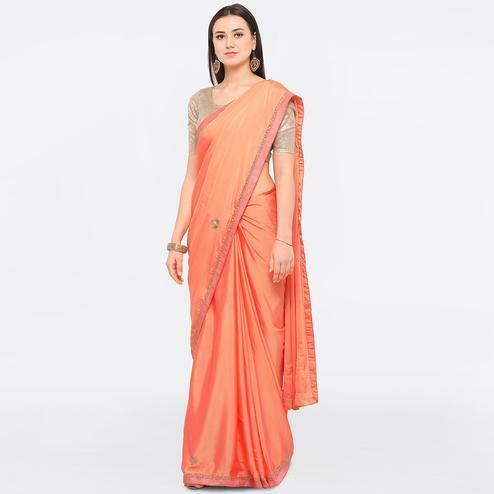 Suitable to wear for festivals functions and special occasions.